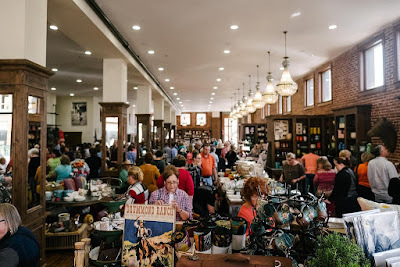 This past November, our two younger daughters and my mother-in-law had a girls' day out to visit the Pioneer Woman Mercantile in Pawhuska, OK.
We made the mistake of planning our trip on Veteran's Day--along with a few hundred other folks, so the lines were extremely long. 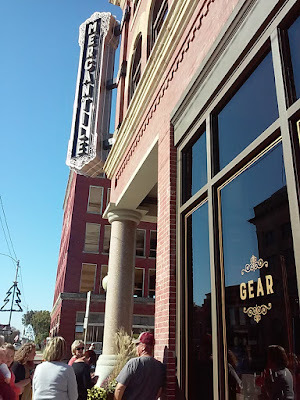 We waited outside for over an hour just to get inside the Mercantile. 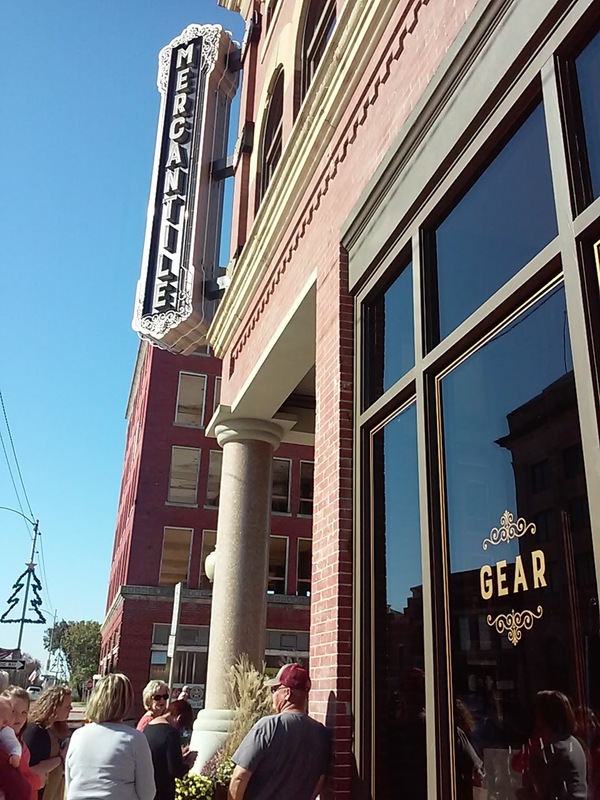 Once inside, we were unable (or unwilling) to stand in line for the cafe (45 minute wait) or the bakery (60 minute wait). So, no delicious, yummy crescents for us. We did manage to walk out with a few fun items. and my Rooster Appetizer Dish. I hope to return there one day--on a not-so-busy day. What about you? Have you made a trip to the PW Mercantile?